STUNNING VIEW - Top Level of the Building giving you a Peaceful and Quite Getaway. Comfortable Floor Plan. A Great View from the Deck. Elevator Available - no stairs required. Comfortable Floor Plan. A Great View from the Deck. 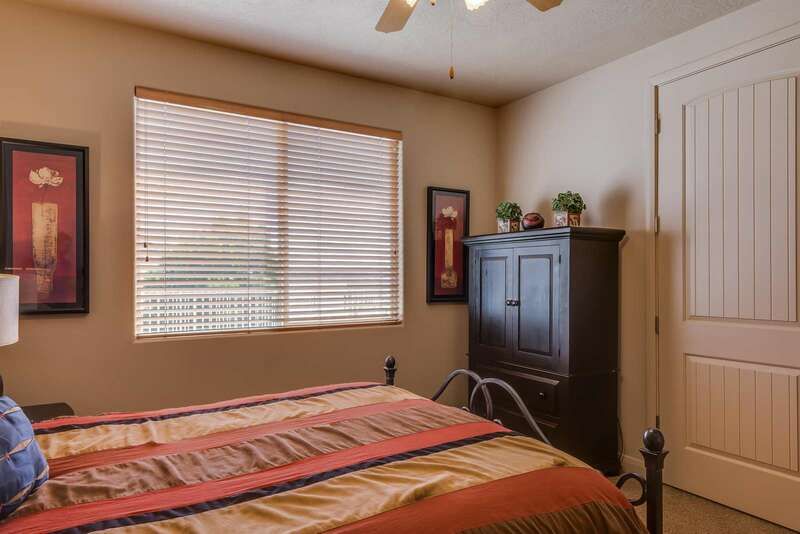 With the high vaulted ceilings and top level acesses you will escape the noise of other guest and enjoy the peace and comfort of this beautiful condo. Lets start with the kitchen!! 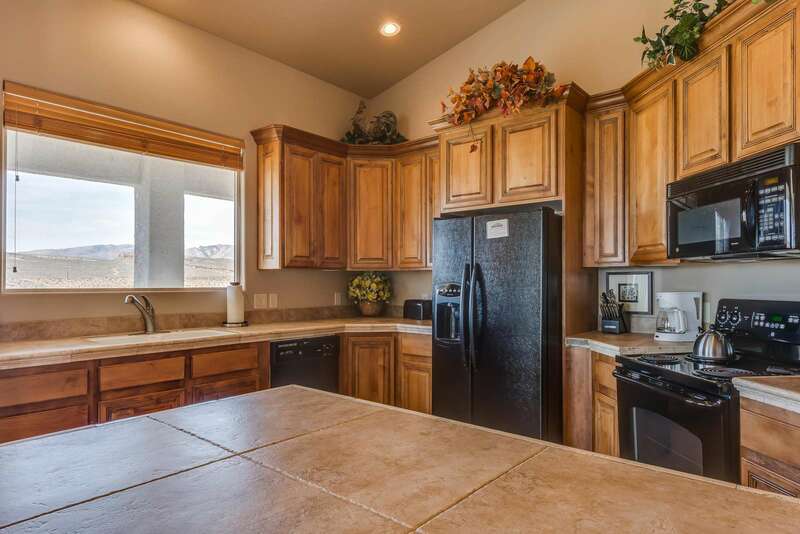 With a fully furnished kitchen: major appliances, cook ware, and all other accessories that you will need provided, it will be easy to whip up those favorite family meals making eating in an enjoyable experience. There is a dining table that seats 6. However, if you prefer to eat outside we have that too ! There is an outdoor dining table and seats on the very spacious patio. 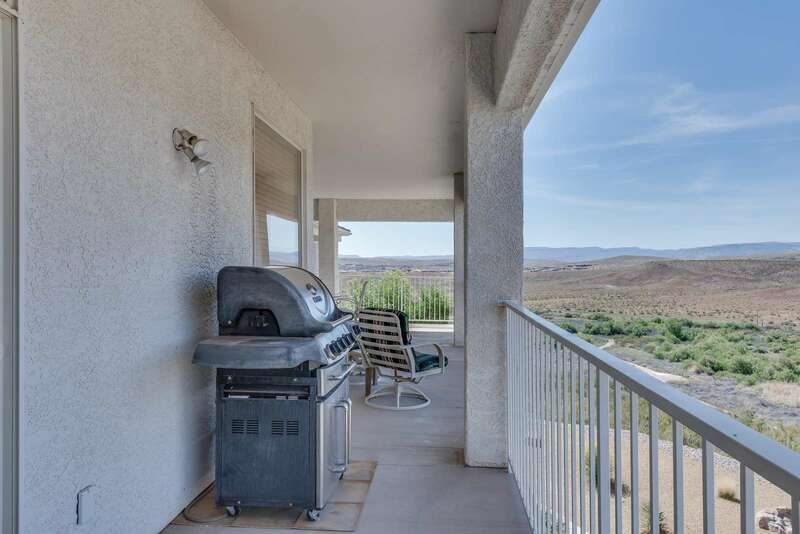 This is a great place to relax, enjoy the view, dine, or play your favorite family board games. 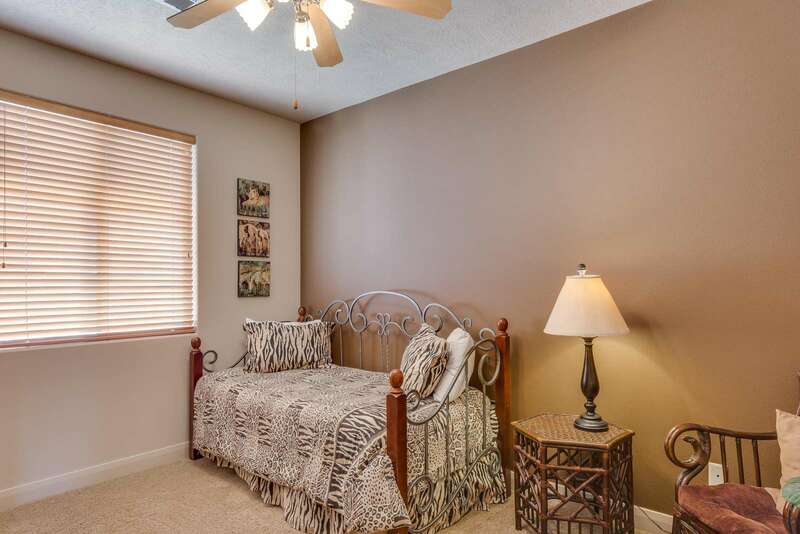 The beautiful decor and warm feeling of each bedroom is inviting and relaxing. 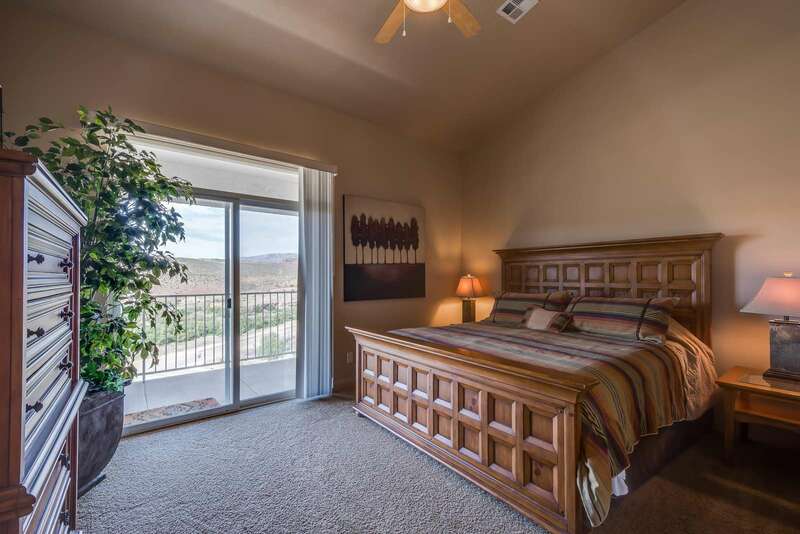 Our Master bedroom features a Kind size bed, a flat screen TV, a beautiful view of the Saint George mountains, private access to the patio,and has its own private bathroom make it the Master en Suite. 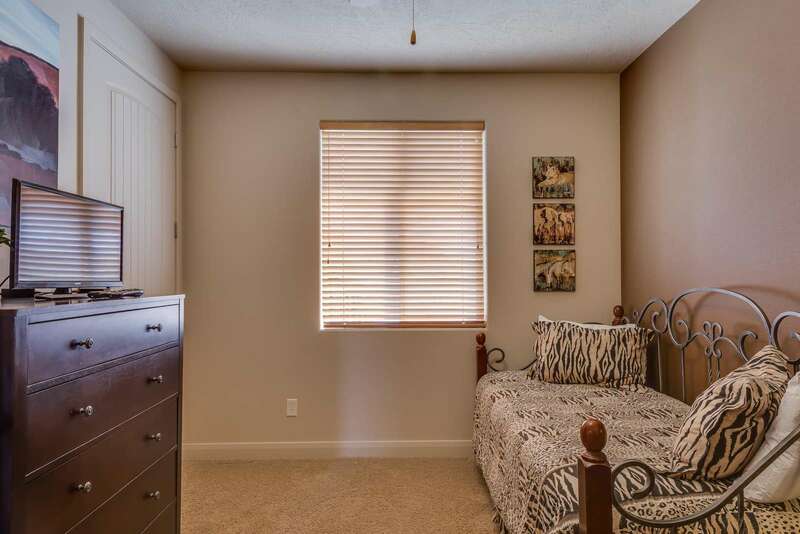 The second bedroom features a queen size bed and the third bedroom has a twin. 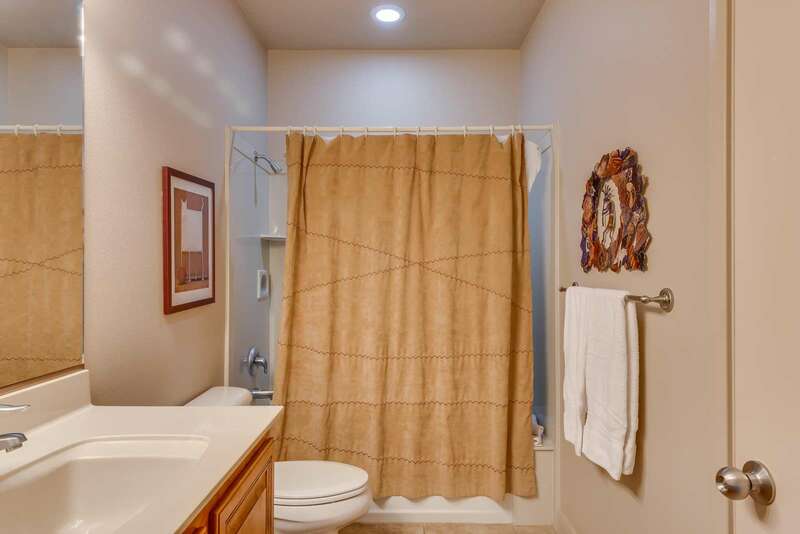 There is a TV in both of them and a shared bathroom in close distance to both of them. 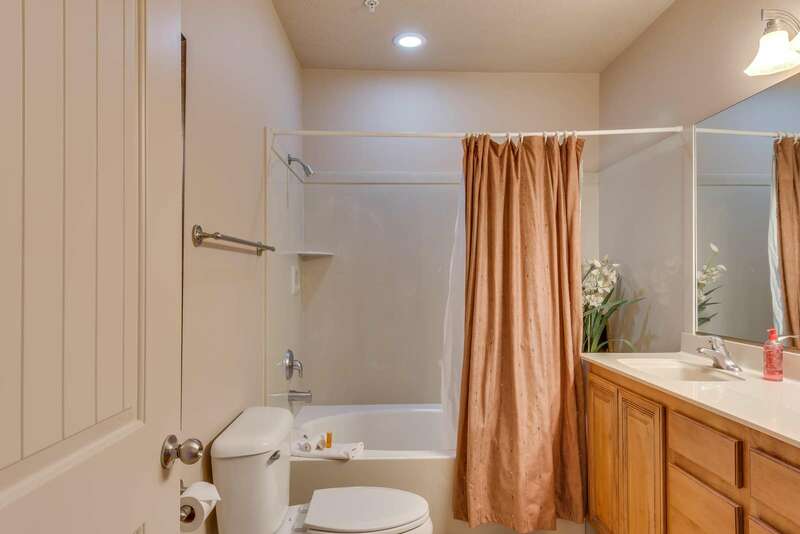 All bedrooms and bathrooms are lines with fresh clean linens, fully stocked paper products, soaps/shampoos, and towels. 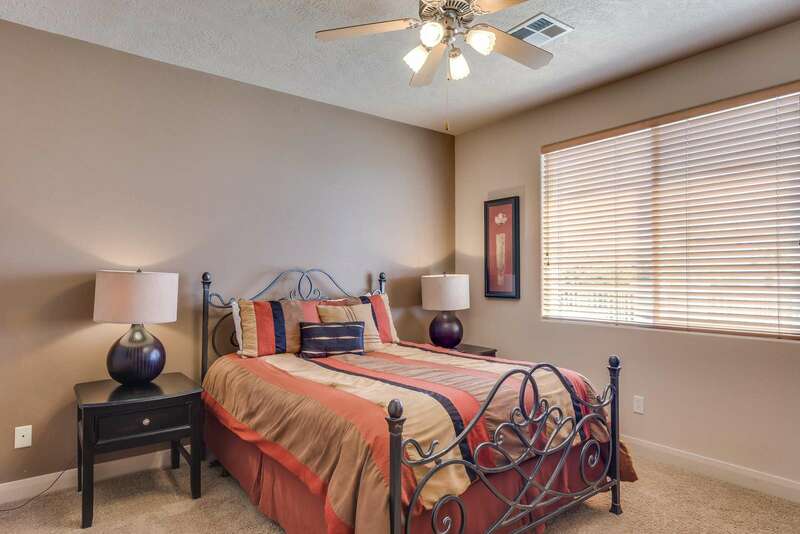 Each room provides an ample amount of storage space for the things that you brought from home. Free High Speed Wireless Internet is available to all who stay with us. 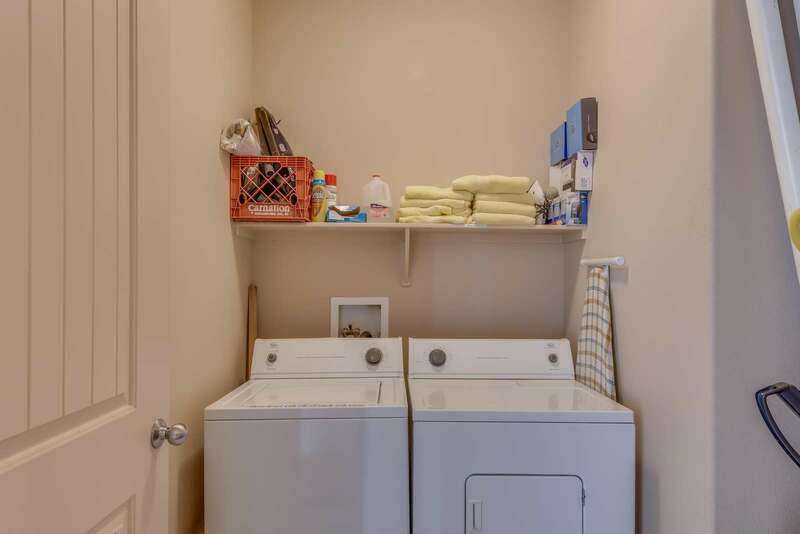 In the laundry room there is a full size washer and dryer for your use and convenience. 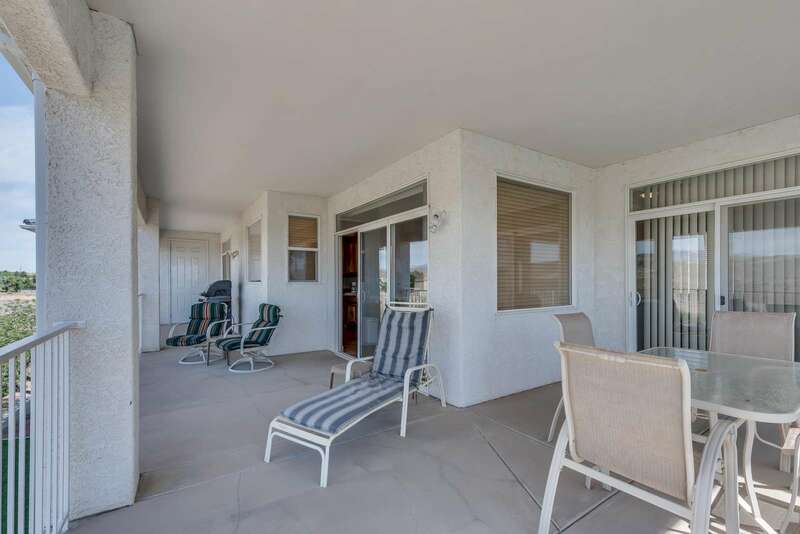 IN ADDITION, because this condo is a part of the Las Palmas Resort, there is also access to 2-Pools, a waterfall pool and a family pool, and 2 playground areas for the kids. Come and join us at Las Palmas to make those family memories that will not dimminish over time! 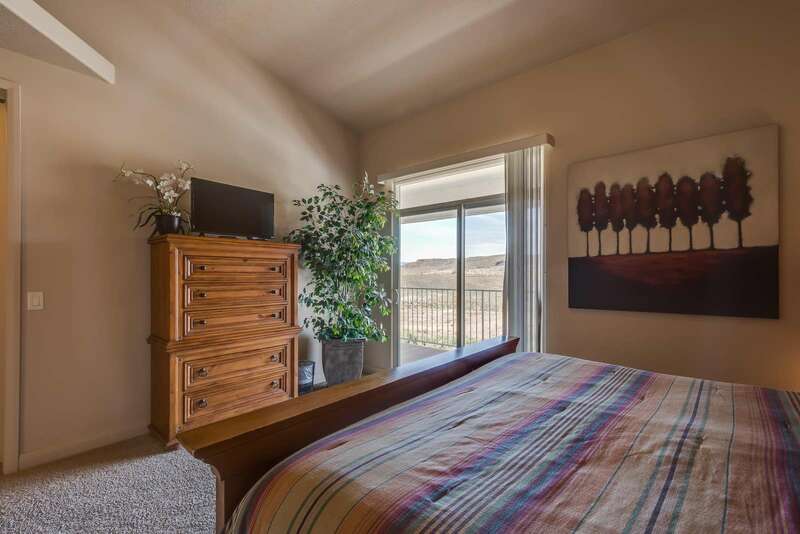 We found the team to be very responsive and we had an excellent experience....comfortable condo, beautiful views, and great location.